Alaska seafood is recognized as the best wild seafood in the world.  Sixty North Seafoods provides the highest quality products even within this premium seafood sector. Sixty North products are traceable from fisherman to consumer, with attention to detail in all areas of quality. 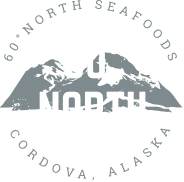 All products from Sixty North are wild, sustainable, traceable Alaska caught seafood. Premium quality means a longer shelf life, bright color, fresh ocean smell, firm texture, and superior flavor. Premium quality starts with the fisherman. We only purchase our fish from a small, select group of fisherman that are known for delivering high quality fish. We keep track of the fisherman’s catch throughout our process, so we can ensure it’s meeting our high standard. Our fishermen know their reputation is on the line. Because we are a small custom processor, we have superior control over our quality. Beyond the intrinsic quality of our fish, we offer premium processing techniques that add value to our products. Pinbone removal – we can remove pinbones for a premium bone-free fillet or portion. Sixty North is committed to sustainability and ocean stewardship. We process only wild alaskan fish that is harvested sustainably, and support local watershed projects.